Shopping for pre-owned cars for sale around New Orleans can be a little scary at times, because you want to be sure you’re getting a quality model. 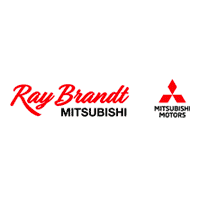 Fortunately, all of the used cars for sale at Ray Brandt Mitsubishi have been expected by our experienced technicians, and we’re committed to helping you find a car, truck, or SUV for a great price that will stand the test of time. Why Buy Used Cars, Trucks, and SUVs? Perhaps the best reason to buy a used car is value: new cars depreciate in value quite a bit in the first few years, so buying pre-owned is the chance to get a great deal on a vehicle from a recent model year. You can also purchase a model with top-tier features for that model year, which in many cases will be comparable to those in more expensive, newer models. Finally, modern vehicle history reports mean that it’s easier than ever to get the full lowdown on any pre-owned cars for sale so you can avoid any unpleasant surprises. Want to check out our new or used vehicles for sale? Check out our inventory above, make the trip from Marrero or Gretna for a test drive, or contact us online with any questions.